﻿ Seasons Darling Harbour Sydney Apartments, Australia | FROM $70 - SAVE ON AGODA! 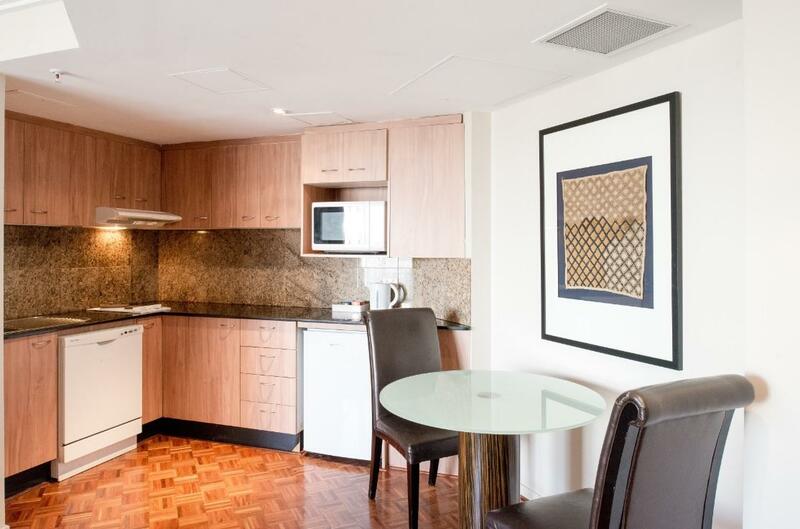 "Location was central walk to darling harbour was close"
Have a question for Seasons Darling Harbour Sydney Apartments? "Large room & bathroom, great location & very friendly staff, I would stay here again"
"The motel itself was very dated and our door/lift key continually malfunctioned however the shower was great and the bed was comfortable and the room was quiet." 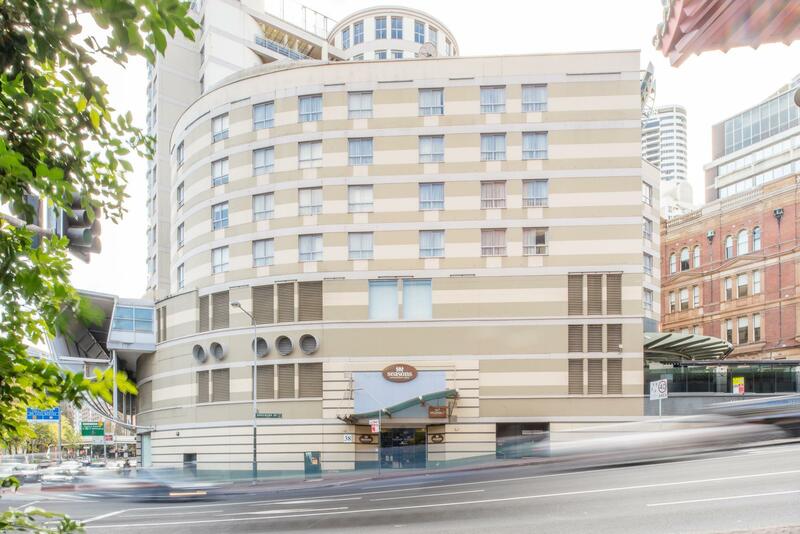 Located at the crossroads of Darling Harbour and the central business district at its doorstep, Seasons Darling Harbour Sydney Apartments is a boutique hotel in the heart of Sydney. Within walking distance is Chinatown, the Sydney Central Station, Town Hall Station, as well as Sydney Light Rail and the Syndey Entertainment Center. Getting around the city is convenient from this location. The hotel offers studios and one-bedroom suites for the short-term traveler, and one and two-bedroom apartments for a longer stay, and all come with cooking facilities. Seasons Darling Harbour Sydney Apartments is a great place to spend a quality holiday. "Seasons Darling Harbour Sydney apartments are conveniently l..."
Extra person staying in the One-Bedroom will stay on a brand new double sofa. Please note that on arrival, guests are required to present a credit card for pre-authorisation of AUD 100 and valid photo ID. An identification and a valid credit card required on check in. Standard credit card pre-authorisations will apply. Credit cardholder must match name of booking. Cash deposits are not accepted. The requests such as specific views and bedding configuration are not guaranteed. The apartments are serviced from Monday to Saturday only. By request only on Sundays and Public Holidays. Parking is available at an additional charge. Height restrictions apply. Kindly contact the property for more details. All credit card transactions will incur a 1.3% surcharge. 2 Bedroom Executive Apartment is composed of 2 interconnecting 1 Bedroom Apartments, which have individual entrance doors from the outside and a connecting door inside the rooms. The studio style room was great and very clean, with separate kitchen and lounge. My only complaint was a shower head that was broken and made showering more difficult than it needed to be. Other than that, I would be happy to stay there again at the right rate. Originally advertised as a $500 room on Agoda but I do not agree it was a room that matched that price tag. I paid $170 in the end which I was happy with, but found it for $140 the next morning on a different site. Seasons Darling Harbour Sydney apartments are conveniently located just a few minutes walk to the ICC Sydney, which was perfect for our business trip. The motel itself was very dated and our door/lift key continually malfunctioned however the shower was great and the bed was comfortable and the room was quiet. The staff were extremely helpful and friendly and I would certainly stay again as it suited our needs. The staff were lovely. Unfortunately the room was not very clean, the hotel had a strange smell throughout, there were cockroaches in the kitchen and bathroom, i was refused entry as I didnt have a physical credit card (which was not mentioned at all during the booking) parking is expensive and validation didnt work and no one answers carpark intercom.. the beds are very soft and the pillows very big, which gave me a sore neck. Im sorry to give a bad review (the staff really were very nice), but the rest of my experience here was an ordeal. Terrific location, great staff, lovely rooms. And the price was great! Came for grand final weekend - so expected all hotels to be quite expensive - this one was one of the better value ones for the location - anything cheaper would have had to be backpackers. Rooms clean and adequate - bit run down. Location is excellent - backs onto china town and 3 minute walk to darling harbour. Good to have the kitchenette with stove top - so could cook our own breakfast - however missing a dishwasher as shown in pictures. Staff member was a bit slow in finding our reservation (even though i handed her the agoda voucher) - so that was a bit stressful thinking they had not booked our room! Right on the corner of China town and darling harbour close to everywhere. Clean and spacious. Staff are friendly. Except the mettras in the room is too soft that both my husband and I had a sore back after staying for two days. Although travelling solo for business I love having more than just a hotel room. Great location at top end of Dixon Street - close to Darling Harbour and Central Station if catching train to/from airport or anywhere. Although property is a little tired in some respects, it's clean, comfortable and has everything you really need. The hotel location is great, just opposite to Chinese Garden in Darling Harbour as well as a stone throw to China town. The room's bacolny is facing the China town. The downside is the noisy at night. People after parties, clubing plus police cars sirens. You can stil hear a bit even the windows are fully closed. Other things are fine. if you are aftering a very good sleep and ready for very early start the following day, please consider this carefully. Otherwise, this location and price is un competitive. I enjoyed my stay very much at the hotel. Everything was good, minibar was well stocked but I didn't consume anything. Kitchen was well equipped as well with a microwave, stove and cooking utensils as well. Bed was very comfortable and I feel straight to sleep. I was given early check in a room on a high floor (which I requested) and a balcony which was a surprise. They really took note of what I really wanted. Will definitely stay again. Room was clean,staff were helpful (replacing coffee to more decaf) large rooms very comfy. we were very happy with our stay,it was close to everything ,and the staff were friendly,The rooms were large,My husband would have liked more fox channels after a full day of sight seeing it would be nice to have some more channels to watch. Happy customer would definitely stay again. I wish I had made phone contact with the hotel after booking online. I had no idea there was no parking available, and neglected to ask, until we were almost out of time. The nearest parking station with vacancy was World Square. I stayed in room 823, the room was up to my expectations, however the bed was the worst bed I have ever slept in. After reading reviews, I had very low expectations. However when I got there, I found it to be perfect. It was in the best location, and had great facilities. Although the pools and gym were not in the same wing, it was still very easy to get to. The beds are a little soft, but everybody has different opinions on that. I might not be picky, but I thought it was perfect. The cupboards weren't in the best condition due to the water from the showers, but it's nothing that bothered me at all. Just a note, you need the key to get to the pool. So ask reception! Overall, I thought it was a fabulous little getaway for me and my boyfriend. He loved it too!